Target grips feature thumbrest, heelrest and finger grooves. Designed to give the shooter a relaxed, steadier hold. CNC-machined from laminated wood and available in a variety of colors. Includes four-allen head screws. 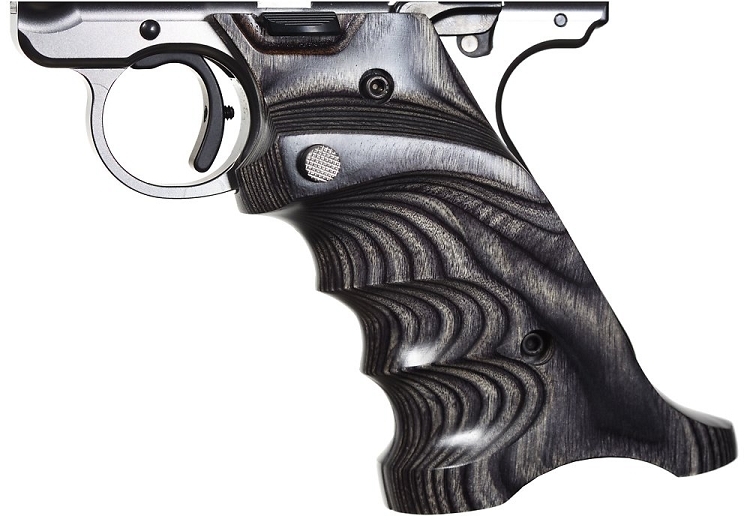 I use my Mark IV for Precision Pistol Competitions, While the Original Black Checkered Grips looked awesome with the Stainless Steel, they were real comfortable. The Gray Volquartsen Grip look great, fit perfectly, and are very comfortable. They add a little more weight to an already heavy pistol, but only a little.